“Two there should be; no more, no less. On the run from vengeful Republic forces, Dessel, a cortosis miner, vanishes into the ranks of the Sith army and ships out to join the bloody war against the Republic and its Jedi champions. There, Dessel’s brutality, cunning, and exceptional command of the Force swiftly win him renown as a warrior. But in the eyes of his watchful masters, a far greater destiny awaits him. First off this is only the second Star Wars novel I’ve ever read but I am quite familiar with the rather large universe, it’s plots, and it’s creatures. So I’m not entirely new to all of it…not to mention I love the Sith. From a overall stand point this was a fairly decent novel. The writing style isn’t overly informative or formal and it flows pretty smoothly. The plot as a whole is pretty interesting and at times fairly gripping. I was actually fairly surprised at how easy it was to read, I was expecting something drawn out or over explained but it was a fairly relaxed read. The main character is a bit predictable but then again most Star Wars characters are in a way. Bane (Des) is a fairly interesting character, he’s the normal Sith type really; he’s constantly trying to push himself, he is arrogant at times, the mood swings happen, the want of total power is there…so Sith-y. He did get slightly annoying with all the slight angst that slips in toward the beginning though. I thought it was really cool to read about a large group of Siths instead of just two. I would have thought it would be more chaotic than it was but then again it’s a sort of controlled chaos. Nearly makes me sad that there are only two later on because the fights are more interesting. If you are not familiar with the Rule of Two comes from, then this book is a good way to understand it. 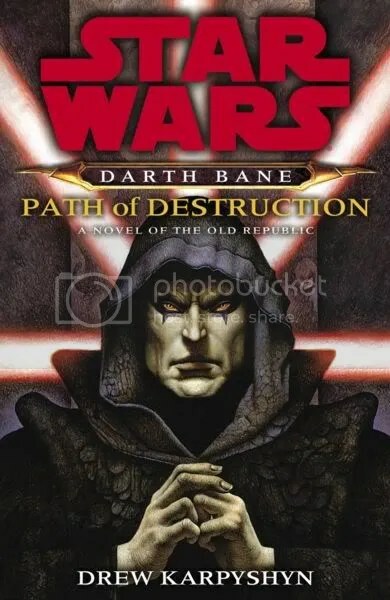 The author helped to develop the story-line for the video game Knights of the Old Republic so it is appropriate that he was chosen to write the Darth Bane books, it’s clear he knows what’s he’s talking about and isn’t just pulling words from no where. I’m looking forward to the other two books, I just have to go buy them. 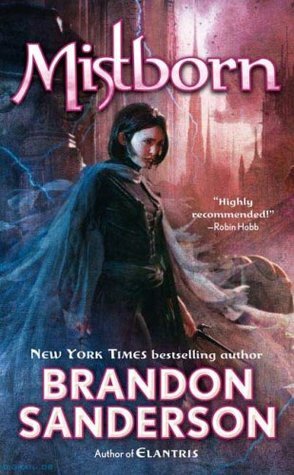 This entry was posted in Book Reviews (2010) and tagged 4 stars, review, sci-fi. Bookmark the permalink.